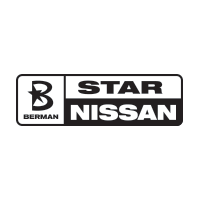 At Star Nissan in Niles, IL, we believe that establishing a routine maintenance schedule for your vehicle is essential for keeping your car in good working repair over time. You should inspect your vehicle at least once a month. Make sure that your dashboard indicator light is on and working, both of your headlights are shining brightly, tires are fully inflated, and that you have enough washer fluid for your windshield wipers. Your vehicle needs an oil change every 3-6 month, or every 3,000 to 5,000 miles. Our technicians will inspect transmission fluid, battery cables, belts, engine air-filter, wiper blades, and exhaust. Make sure to keep anti-freeze handy to prevent it from running low. It’s important to let our technicians perform basic chassis lubrication twice a year, as well as check your coolant levels, and refill it annually, especially before the summer hits. Have your vehicle inspected by us at Star Nissan using this general maintenance list, we’ll catch potential problems BEFORE they happen, saving you money, and extending the life of your vehicle. Must present when service order is written. One coupon per customer. May not be combined with other offers. Not applicable to prior purchases. Not responsible for typographical or printing errors. Other restrictions may apply. Excludes Tires. Arbor Day Special: For every oil change purchased, we will plant a tree on your behalf.